Classical music is designed to be interpreted, not just performed. The interpretation has two facets. We treat the music both as something to ponder and as something to be presented intact, but with a difference, by different performers. There has been a lot of scholarly debate recently over whether these two senses of interpreting music are in synch or in conflict. The question is one of many I take up in my new UC Press book, Interpreting Music. Most discussions, mine included, tend to assume that interpretation in either sense will be responsible. Any interpretation may, and maybe should, take risks and sometimes take liberties, but the interpretation is supposed to have some sort of fidelity to its source. The three friends don’t sing the sober and strangely lyrical song at all. Instead one of them raps on the lyrics, flapping his elbows like crows’ wings and cavorting irreverently; the others supply a jazzed-up accompaniment on piano and saxophone. Schubert, who did have a wild streak, might not have minded. But what is this? Is it a parody, a burlesque, an adaptation, a satire, or an interpretation? Aside, of course, from being a bit of each? My vote goes to interpretation. The irreverence of the performers (who are also the writers: Rick Burkhardt, Alec Duffy, and Dave Malloy) is not just entertaining; it’s revealing. The three friends in “Die Krähe” invoke and exaggerate every current cliché about “real guys” as beer-swinging dumb-and-dumber slackers who are, among other things, clueless about women. The guys want you to think they’re having fun, but the fun is shot through with desperation, social anxiety, and the fear of sexual failure. The current cultural climate may make it hard for us to treat this subject with the elevated Romantic melancholy that Schubert brought to it in 1827. But that—would the writers agree? I don’t know; it doesn’t matter—is part of the problem. What this interpretation shows us is that being unable to share Schubert’s melancholy without embarrassment is nothing to crow about. 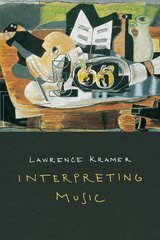 Lawrence Kramer is Professor of Music and English at Fordham University. 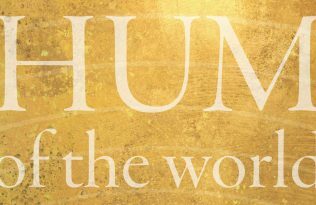 He is the author of many books, including Musical Meaning: Toward a Critical History; Opera and Modern Culture; and Why Classical Music Still Matters, all from UC Press.